Because I live in the USA, California specifically, some of my friends here have asked what flour i use for my recipes. In contrast to Italy, the flour here is not categorized as 0 o 00, that in Italy indicates the flour’s level of thickness. I believe that the flour here in the states is type 0. All purpose flour, flour with medium levels of gluten (9-12%) suitable for kitchen use and for certain types of fast levitating breads. Bread flour, flour with medium levels of gluten (12-13%) suitable for most types of bread. If you cannot find the high gluten flour, you may use Bread Flour and add 2-3% of pure gluten which can be found at your local supermarket. You can also find several different types of integral flour, but I do not have much experience with their use. I rarely any pastry flour. I use all purpose flour for Genoese Focaccia,I use brands that are found at my local supermarket such as Gold Medal or Arthur King, I also often use the Costco brand sold in bags of 20kg. I also use the same brands of bread flour for almost all types of bread. If I need type 00 of flour, which I sometimes use for pizza, I use Caputo 00 Pizzeria from Whole Food. 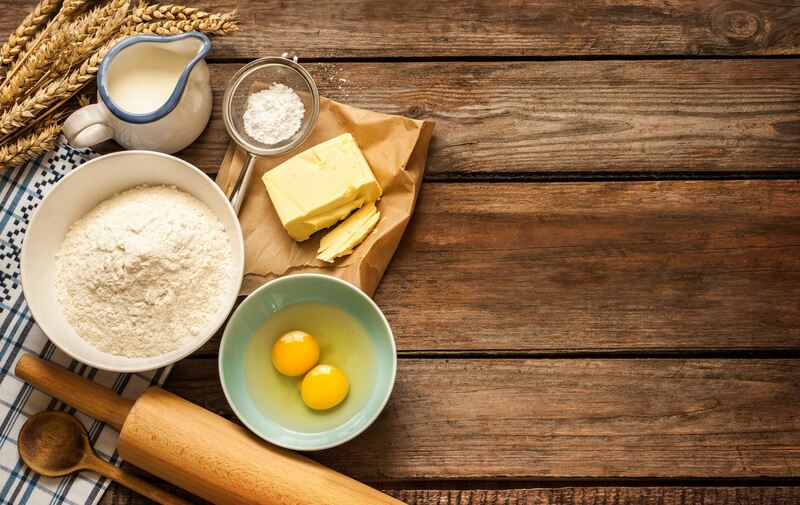 For more information on flour, I recommend this well-written article by Michele Castellano. In terms of yeast, I always use the Fleischmann’s (Active Dry Yeast, Since I have moved to the USA, I have been searching for fresh yeast which can sometimes be found in the milk and eggs section of supermarkets. Then I got used to using dry yeast and realized it gave more consistant results. In contrast to the fresh yeast, the dry yeast’s maintenance is not affected by its environmental conditions. Its only difference is the amount of use.Because of the dry yeast doesn’t contain water you have to use 1/3 of the amount of the fresh yeast. Uhm… Le mie ricerche dicono che le farine americane sono 0 (meno raffinate). Infatti quando serve la 00 bisogna cercare quella italiana. una domanda, se una ricetta americana mi indica la bread flour e la all purpose flour, devo usare una farina 0 e 00 ? ?